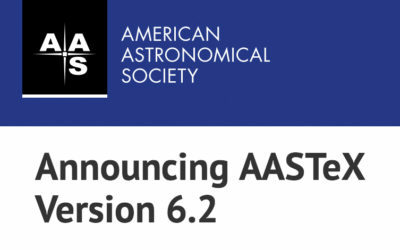 Editor’s note: Kerrin Hensley is a third-year graduate student in Boston University’s astronomy department, and she was recently selected as the inaugural AAS Media Fellow. We’re excited to welcome Kerry to the team and look forward to featuring her writing on AAS Nova regularly! As effective laboratories for studying the impact of nature on galaxy evolution without the influence of nurture, galaxies in cosmic voids stand alone. What does the dearth of galactic neighbors mean for the morphology of galaxies in cosmic voids? Cosmic voids are roughly spherical regions of the cosmic web with lower-than-average density of matter. Though far less populated than dense galaxy clusters, cosmic voids aren’t empty; delicate filaments beaded with galactic pearls cut across their centers, hosting sites of galaxy formation. Because of their low density, voids represent a laboratory within which galaxy properties and evolution are largely determined independent of the influence of neighboring galaxies. What is life like for a galaxy in the proximity of a cosmic void? To answer this question, Elena Ricciardelli (École Polytechnique Fédérale de Lausanne, Switzerland) and collaborators analyze the properties of galaxies residing in and around cosmic voids in the nearby (0.01 < z < 0.12) universe. Ricciardelli and collaborators search for the effects cosmic voids have on galaxy morphology by analyzing a sample of galaxies drawn from the Sloan Digital Sky Survey. In total, they consider roughly 6,000 void galaxies and a control sample of 200,000 galaxies from environments of average density. They use the Galaxy Zoo morphological classification tool to identify the spiral and elliptical galaxies in their sample. Lastly, they calculate the fraction of spiral and elliptical galaxies present in their void and control samples, while correcting for the fact that faint spiral galaxies are more likely to be misclassified as ellipticals than their bright counterparts. They find that galaxies near voids are more likely to be spirals than galaxies far from voids, indicating that nearby cosmic voids have a marked effect on galaxy evolution. The authors find that not only does a galaxy’s distance from the void affect its properties, but the size of the adjacent void has a measurable impact as well. Within the voids, they find a larger fraction of spiral galaxies compared to the control sample. This effect persists after removing the mass bias due to the fact that the low-density void environments are preferentially populated with low-mass galaxies; for a given mass or absolute magnitude, voids contain a higher proportion of spiral galaxies than the control sample. This effect is not limited to the volume within the voids; Ricciardelli and collaborators find that the properties of void-adjacent galaxies are altered out to twice the radius of the void, with a higher fraction of spiral galaxies found closer to voids. The size of a void has an effect as well; larger-than-average voids harbor a larger fraction of spiral galaxies than smaller-than-average voids. The authors caution that this final result depends on how the voids are defined; the effect disappears if the voids are defined using their dynamical properties rather than their size. Future research will help further disentangle the role that cosmic voids play in galaxy evolution.